This website is dedicated to InterGroup Peace and InterGroup Understanding. It explains why we have more than 200 interethnic and InterGroup conflicts in the world today, and helps people understand how to reduce conflicts and live in Peace. 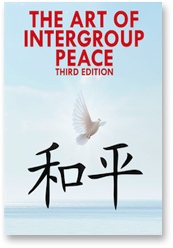 This website offers books, essays, insights, reflections, paradigms, poetry, and thought pieces about InterGroup Peace. Peace is possible. Peace is needed. We should all work together to create a Peace Movement now. 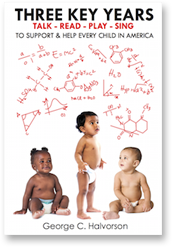 The children whose brains are exercised in the first Three Key Years of life have larger vocabularies, learn to read more easily, and are much less likely to drop out of school. You can exercise and strengthen your baby's brain by talking, reading and signing directly to your child — beginning at birth. We need a Peace Movement for America that allows us to overcome our damaging and dangerous inter group instincts to build lasting Peace. Science and brain scans now tell us that the first three years of life are absolutely critical years for the development in your baby's brain. That development starts for each baby on the day they are born. The most important number in America for our future as a country is the percentage of our children from every group who are learning ready at age four. We will be badly damaged as a country if we do not reduce the learning gaps in our schools. The Art of InterGroup Peace has an array of eight approaches that can be used to steer and channel intergroup interactions - ranging from a truce or ceasefire at one end of the continuum to a full merger and complete intergroup assimilation at the other end of the continuum.